After ‘Cloud Computing’ revolution, we have seen dawn of different cloud-based file storage services, even though a few of them managed to grab the spotlight. And, services those grabbed attention from users had something unique to offer. If you have a glance on popular cloud storage services, you can see that each of them had redefined aspects of cloud computing by introducing innovative practical applications. Today, what we would like to introduce is such a useful, innovative and reliable online file storage service that you can depend upon for professional & personal kinds of purposes – pCloud. There were several factors in pCloud that helped us to conclude that pCloud is pretty different from other services available in tech world, such as simplicity, security, uniqueness of features etc. Despite having its inception in 2013, pCloud has found this one year to create an outstanding impression among audience. Simply put, pCloud lets you have virtual space in World Wide Web, in which you can store documents, music and any other kinds of files. Unlike your hard drive or pen drive, this virtual space is accessible from different kinds of devices running on different platforms. For instance, even if you have uploaded a music file using PC, you can play it by using official application of pCloud for Android or iOS. This feature of accessibility from multiple devices seems impressive, especially when it comes to business purposes, where carrying files in your pen drive / HDD from home to office and vice versa will be tedious. However, if you are using pCloud, you can upload those files into pCloud folder using PC or web-based interface and access them from your office computers; also, if you want to have a glimpse on documents during travel, you can use pCloud for Android or iOS. Now, we will have a look on different sectors of pCloud, such as usability, storage plans, experience with Smartphone apps, innovative features that pCloud puts forward, etc. As of now, pCloud offers four different storage plans! The basic plan of pCloud is free and it offers 10GB space for file storage. Plus, you have an option to upgrade the storage up to 20GB without paying a penny, but by accomplishing a few simple tasks such as promoting social media pages of pCloud, inviting your friends to pCloud etc. This plan offers unlimited speed, unlimited file size, 30 days of file history and support via email. 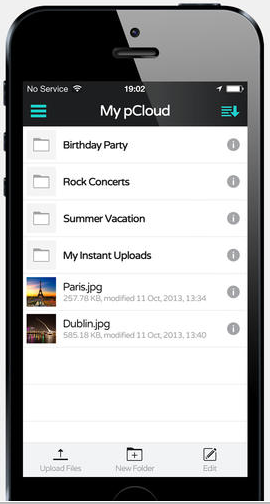 Second plan of pCloud is available for $4.99 per month, and it offers storage space of 100GB. Just as basic plan, it has no limits in terms of upload/download speed or maximum file size. However, unlike basic, it offers file history for 180 days, and priority email support. Following plans do not offer additional features than the previously mentioned one, with an exception to the storage space. Next plan offers storage space of 300GB and costs $14.99 per month; whereas the latter gives you file storage space of 1TB, and wants you to pay $49.99 per month. In addition to these plans, pCloud will soon introduce an enterprise plan, which is specifically made for business kind of purposes that require more storage space and features than mentioned ones. Basic and most used way to access your pCloud account is its web-based interface, which is rich in terms of features, when compared to other ways. The file management section of pCloud web-based interface is extremely simple for a normal internet user, as it has been set up in an intuitive design. In the file manager, you can two sections: folder list and a sidebar. In the folder list, you can see list of available folders, size, modified date etc. On the other hand, in the case of sidebar, there are a few options to filter your files, go to some special sections of your account like ‘My Links’ and ‘Shared with Me’. 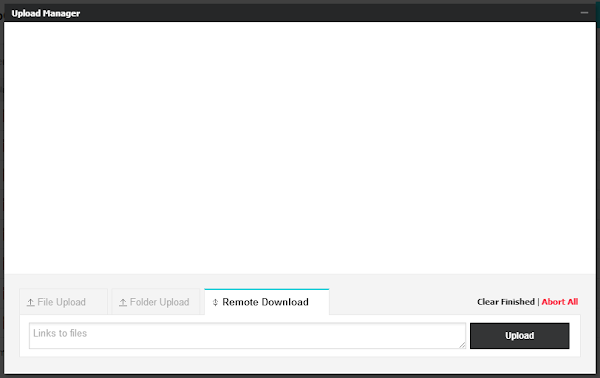 Uploading files to pCloud is very simple when it comes to the web-based user interface. You have different ways for uploading files to pCloud. You can either upload single files by dragging them into web browser or an entire folder by selecting the folder. In a different option, called Remote Download’, you can provide link of a file that is available in a web server, and pCloud will download that file and store it in your folder. Of course, the third option of pCloud does deserve praising due to its innovativeness. File management sector of pCloud becomes something great when it comes to management of audio and video files. 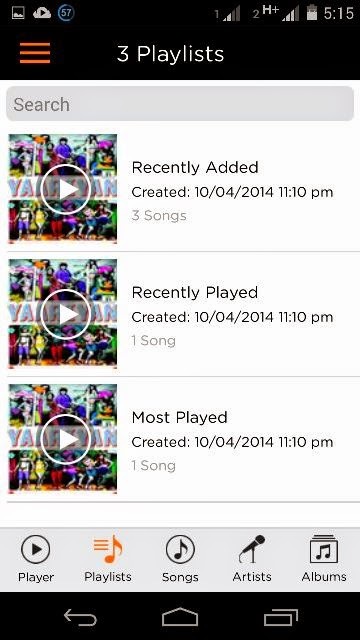 In that case, pCloud has dedicated players for playing video and audio files. For instance, if you have stored some of your favourite songs in pCloud folder, you can play those files using the web interface itself. 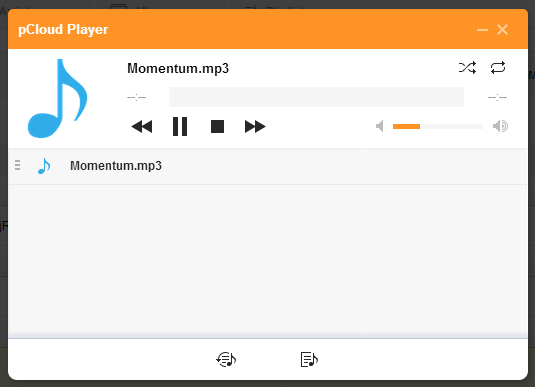 You may play these files as if it is a dedicated music player, because pCloud audio player has options to create playlists and play songs in that order. Likewise, the dedicated video player also makes sense, especially if you want to store and watch HD movies by means of pCloud. Since there is no speed limit in pCloud, streaming experience will be exceptional indeed. For you information, music freaks, you can save up to 4500 songs in 20GB of free storage pCloud is offering. As we said, pCloud has launched dedicated applications for popular platforms. Now, we will have a glance at some of those apps: pCloud for Android, pCloud for Windows and pCloud Sync (for Windows PCs). Dedicated application of pCloud for Android Smartphones and Tablet PCs is something great as long as you treat the productivity offered by pCloud as an important factor. You may download this free application from Google Play. After installation, pCloud for Android will not take more than a few seconds to create a small yet effective version of your pCloud folders in smartphone. A noticeable one among features of pCloud for Android is to favourite certain files, whereupon those files will be available for offline use. If size of file is a bit high, it may take a few seconds or minutes to download that file. Also, it has, resembling the web UI, an integrated audio player and video player. You can use those players to play music and videos respectively, and the music player can be nice alternative to your default music player. Viewing all these together, pCloud for Android is something great, indeed. In addition, you’ve a feature to automatically upload your photos from camera roll. If you have installed this free application in your iPhone, iPad or iPod Touch, you will be able to access pCloud folders using those devices. It is not that different from its Android counterpart, and design is almost similar to each other. Just as we have seen in web-based UI of pCloud, pCloud for iOS is something productive when it comes to integrated music player. Using that player, you can not only play single music tracks and create music playlists for easier access. Just as you have done in the case of Android application, you have an option to favourite files, which you will need to be available offline. Also, lack of speed limits and a feature to automatically upload your photos as you click them are noticeable advantages of pCloud for iOS when compared to the web-based interface. 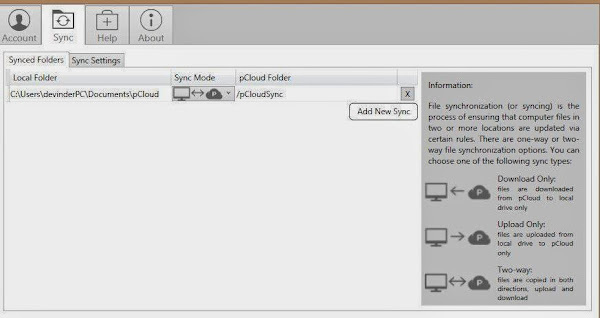 By installing and enabling pCloud Sync in your Windows PC, you’ll be able to synchronize specific folders with pCloud. There are two options of synchronization: one-way syncing and two-way syncing. Of course, it is a great way to keep track of important files. As we said, pCloud offers a number of impressive features! Some of us are as follows. We said that pCloud offers three options to upload files into pCloud account. However, often, you will have to collect data from your colleagues or friends. 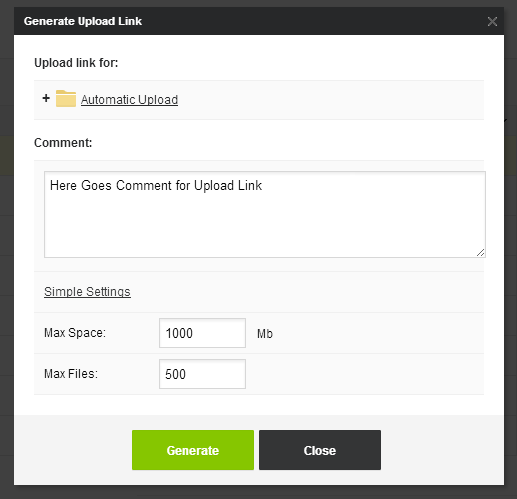 For that purpose, you can create an upload link for specific folders, and share it with your friends. By visiting that link, you will be able to upload files into that folder. Similarly, when you want to let someone download single files or multiple files (from a folder), you can create a download link and share it with your friends. Obviously, both are great ways to receive and share files with ease. For managing these links, there is a special section called ‘My Links’. You have options to activate, deactivate or delete upload links or download links. 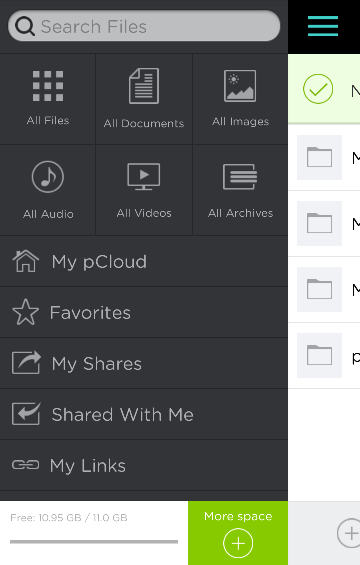 While talking about file sharing, we have to also mention that pCloud lets users invite other users into a specific pCloud folder or file in order to view or edit. For this, you have to provide email ID of that person, and even if he does not have pCloud account, pCloud will send an invitation. 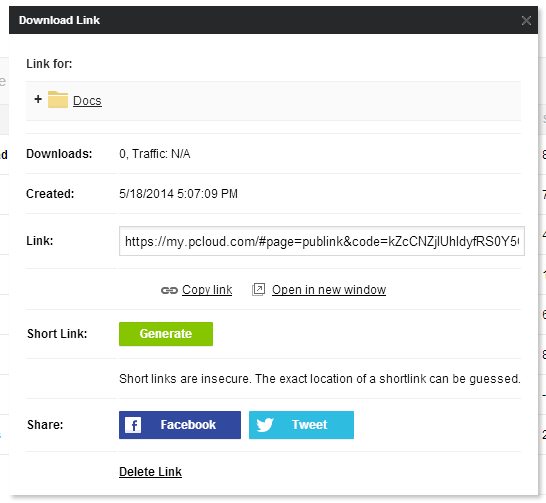 While using this method, unlike upload/download links, you can set specific privileges to each invited users. By connecting your social media profiles, such as Facebook, Instagram and Picasa, with pCloud account, you will have an option to backup photos and videos you have stored in those networks. This feature is very useful if you want to preserve your Instagram clicks or Facebook photos from accidental issues. There are two additional sections in file management. History works as a way to check out changes made to files and folders in pCloud account. On the other hand, trash can be called as other name of recycle bin. Even if you have deleted files from pCloud, they will stay there for a specific time (30 days for free and 180 for premium plans.) Apart from these, there is a file revision system present in pCloud, using which you can keep an eye on changes made on specific files and to restore previous versions if necessary. You can access file revisions by clicking on Gear Button → Revisions. While considering all these aspects of pCloud, it is quite clear that pCloud is undoubtedly one of the optimum ways, you should follow while looking for an effective cloud-based file storage service. Particularly, we loved its support for different platforms, upload & download links, social media backup and offer to grab free storage space by promoting the product itself. Also, it becomes a competitor to existing cloud storage providers in industry, including giants.